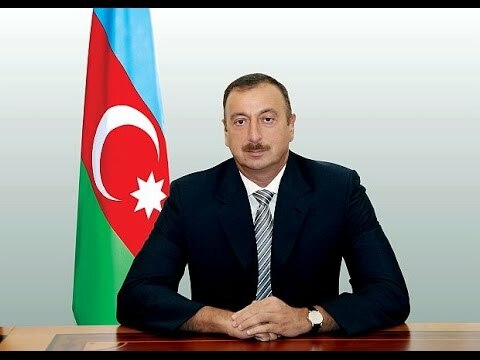 BAKU –Azerbaijan's new president, Ilham Aliyev, took office on Wednesday with a vow "to defend the independence and territorial integrity of the state, to serve the people with dignity," official Azertac reported. "Exercising the authority of the President of the Republic of Azerbaijan, I swear to observe the Constitution of the Republic of Azerbaijan," said Ilham Aliyev. Soldiers of Azerbaijan's armed forces brought the national flag of Azerbaijan and the flag of Azerbaijani president under the solemn march to the stage. The president took the oath by laying his hand on the Holy Quran. "By laying my hand on the Holy Quran, I swear to be committed to the national and spiritual values and traditions created by the Azerbaijani people for centuries and constantly cherish them," Ilham Aliyev said. The inauguration ceremony took place in the Parliament of Azerbaijan. Addressing the inauguration, Chairman of the Constitutional Court Farhad Abdullayev said that the Constitutional Court of Azerbaijan on April 17 approved the results of the presidential election and declared Ilham Aliyev as the president of the Republic of Azerbaijan.